Wakefield isn’t really an automatic choice to spend your 43rd birthday. In my defence it was probably the only time of year I could persuade Neil to go to a sculpture gallery with me – The Hepworth Gallery to be precise. 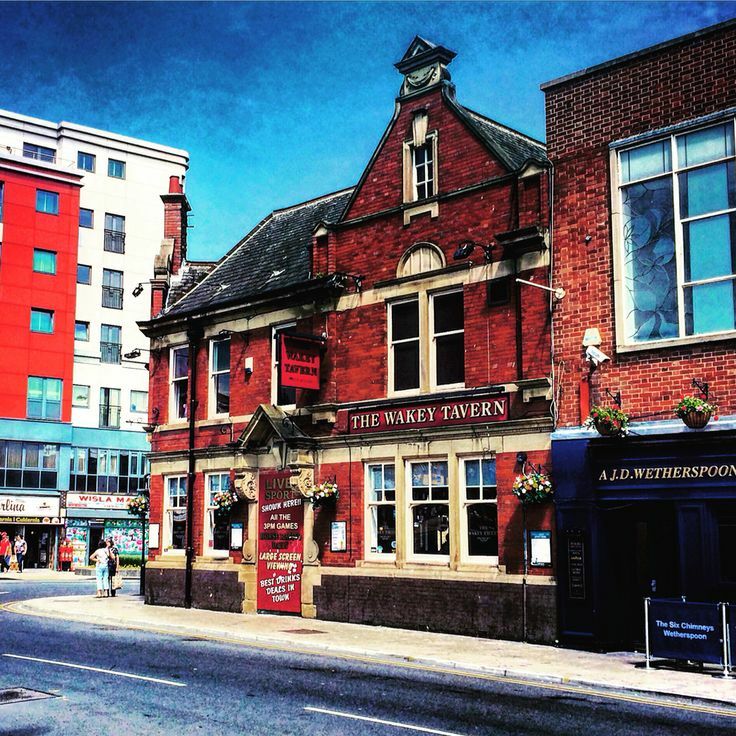 Getting to Wakefield from Manchester is easy enough – M60, M62, M1, exit junction 41 and the A650 into town. Word of warning – don’t travel back to Manchester after 3pm on a Friday unless you want to spend time in a traffic jam. As we were going to the Hepworth Gallery we parked at the gallery’s car park and it cost £5. If I was going to Wakefield again I probably park at the edge of town on the nearby retail parks, which would undoubtedly be cheaper or free. 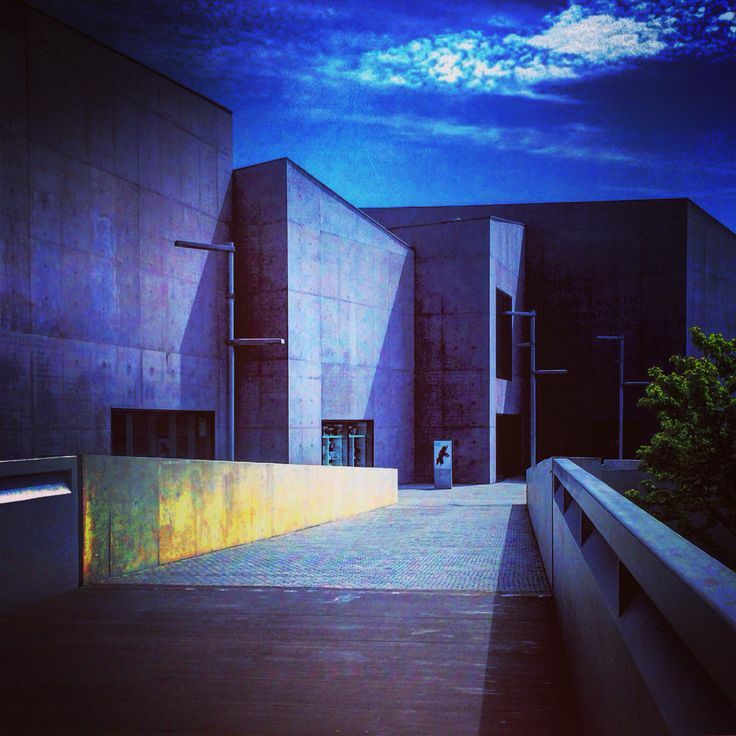 The Hepworth Gallery is a relatively new feature to Wakefield, built in 2011 to house the works of Barbara Hepworth and host temporary art exhibitions. The building itself is a very stark, grey, concrete building in the brutalist style. It’s definitely not going to appeal to everyone, but all its planes and angles make great photo opportunities. Inside the gallery the stark architecture continues - if you like polished concrete then this is the place to go. We wandered through the gallery and it reaffirmed my love for Barbara Hepworth’s abstract sculptures. There were other exhibits throughout the gallery and there was a group of sculptures that looked like oversized cow poo. Some of it was gold coloured, but it remained in my mind as cow poop. The gallery is situated by a weir and large windows overlook it. If you are of a visually sensitive disposition don’t spend too much time looking out of the windows as it can bring on motion sickness. As it was a Friday the gallery wasn’t busy and I did notice in one of the education rooms there was a disability group doing some art, which was good to see. It’s a nice gallery, but rather niche with its focus on sculpture. I’m not sure this place is going to appeal to everybody, but it’s nice to find places like this in working class towns. 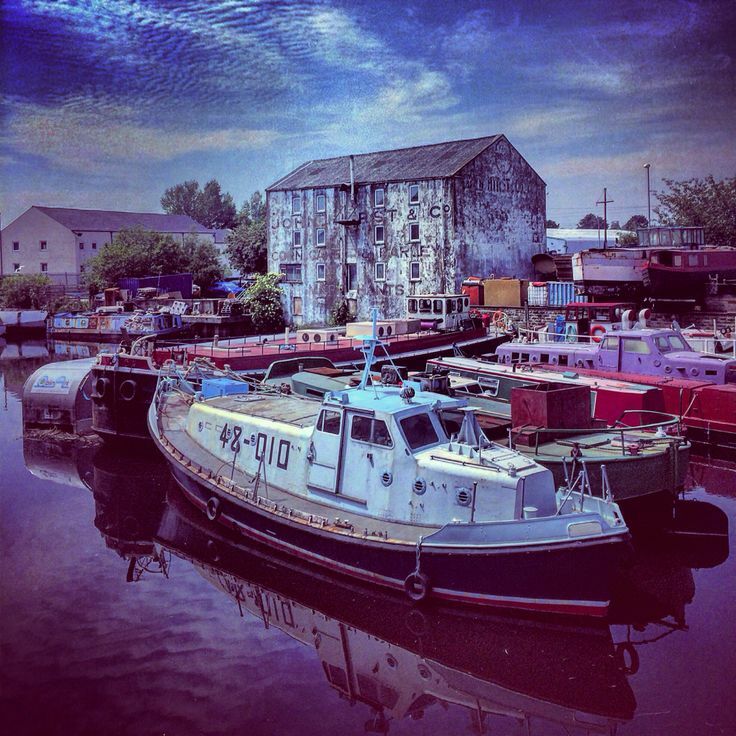 Outside the Hepworth Gallery I was surprised to find a boatyard, especially as it’s over 50 miles inland. I was fascinated by this and to be perfectly honest I found it more interesting than some of the exhibits inside the museum. As we’d paid £5 for parking, we thought it would be better to walk into the town centre. It should have taken 10 minutes, but as we had no idea where we were going, it took 20 minutes instead. My advice is to look out for the tower blocks and head for them. Normally doing that would lead you to a dodgy council estate. In Wakefield it leads you to The Ridings Shopping centre - I’d never seen so many tower blocks built on top of one. The Ridings Shopping Centre is one of two main shopping precincts in Wakefield. I think it dates back to the 1960s/early 1970s. As with other buildings dating back from that period, it hasn’t aged well and I found the place quite dark and depressing. It tended to have the cheap high street shops and as a result drew a lower working class clientele. We noticed there was a big queue in the middle of the shopping centre. It turned out that the local police were paying each person £10 to have their photo taken for their video line up database. It was both depressing and sad to see. As we wandered through Wakefield we found the other shopping centre, which houses the main high street shops. This was a much nicer shopping experience as it was brighter, livelier and more modern. Regeneration money has definitely poured into Wakefield in recent years and nearby Wakefield Market has been rebuilt to combine both an indoor and outdoor market – it looks great. 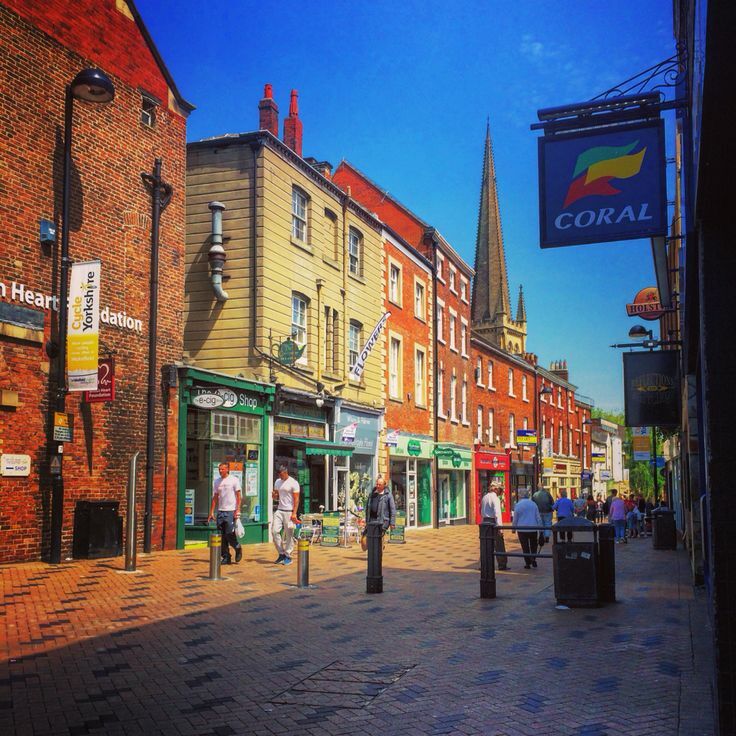 Apart from the two main shopping centres there are lots of side streets with independent shops, cafes and bars dotted along them - it’s definitely worth exploring them. The good thing about Yorkshire is the local craft supply shops and there are quite a few in Wakefield. My favourite is “Wool n Stuff” as it has a great range of fabric and I spent quite a bit of my birthday money in there. They stock materials that you wouldn’t normally find in Manchester. It turned out the shop had a family connection to a local textile firm. I’m fed up with all the floral Cath Kidsonesque fabrics you find in most textile shops these days and it’s brilliant to find shops like this that stock a wider range of designs. I’d happily revisit Wakefield on the basis of this shop. We also found a vintage shop on a side street selling records so Neil had to have a browse. It was quite good and reaffirmed that I should have picked up the £5 typewriter in Stoke as they were going for £25 here. I was eavesdropping on conversations in here and the general gist of it were cool people being cool with each other, talking about cool happenings in cool places – it was all very cool and everyone was coolly attired. Architecturally Wakefield is a mish-mash of lots of periods. 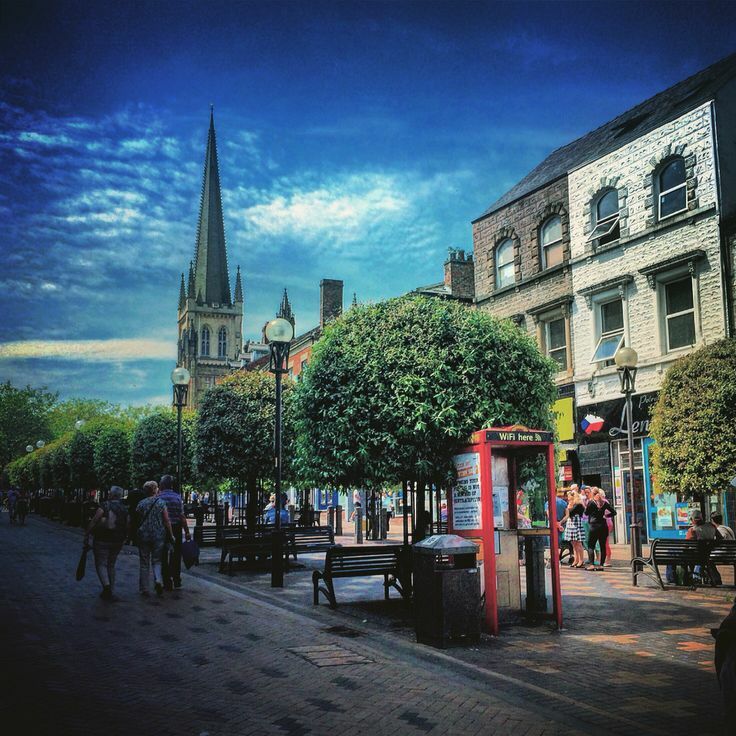 For example: a Tudor style black and white building next to a modern shopping centre; brutalist architecture from the 1960s to the present day; and red brick Victorian side streets. There are plenty of Victorian pubs across Wakefield although some did appear to be quite intimidating. On the other hand, Wakefield Cathedral did stand out as a particularly lovely building perched on the highest point of Wakefield. As it was a sunny day, workers were perched on its steps and walls, enjoying the sun whilst eating their sandwiches. We obviously hit the charity shops and there were plenty in Wakefield. It did make me laugh in one shop where there were some young geeky volunteers who were mucking about with each other. One of them attempted to test his new found social skills on Neil by engaging him in conversation. Somehow I think this young lad has social skills more suited for a job in IT rather than working in a shop. We didn’t find much in Wakefield, but with the vintage shop nearby I reckon they regularly go through the charity shops creaming off the good stuff. My only knowledge of Wakefield came from David Peace’s Red Riding Quartet, which is a seriously grim but gripping story based in 1970s and 1980s West Yorkshire – it doesn’t paint a great picture of the place. Happily I can tell you Wakefield isn’t like that anymore. Obviously it has its rough parts and experiences deprivation, but Wakefield is definitely going down the cultural regeneration route with The Hepworth Gallery and the nearby Yorkshire Sculpture Park. There are some little green shoots of growth going on and it will be interesting to see how that progresses over the next few years. Still it was a strange place to go to on your birthday, but it did make me smile to see a granny walk down the street with pink streaks in her hair – I just love that random sort of stuff.